MSRP $44,420, 3.6L V6 ENGINE, 4X4, 20 BLACKED OUT ALLOY WHEELS (EXPRESS BLACK ACCENT PACKAGE), 40/20/40 SPLIT BENCH SEAT, 3.55 AXLE RATIO, 5.0 TOUCHSCREEN, AM/FM/SIRIUS SATELLITE RADIO/BLUETOOTH COMPATIBLE, AC, POWER WINDOWS/LOCKS, SPEED CONTROL, PLUS MUCH MORE..................PRICE INCLUDES $1500 FINANCE REBATE - MUST FINANCE WITH WASECA CHRYSLER TO QUALIFY!!! MSRP $49,720, 5.7L V8 HEMI ENGINE, BIG HORN EQUIPMENT PACKAGE, 4X4, HEATED CLOTHE BUCKET SEATS/STEERING WHEEL, REMOTE START, ANTI-SPIN DIFFERENTIAL, 20 CHROME WHEELS, POWER DRIVERS SEAT, POWER WINDOWS/LOCKS, SPEED CONTROL, AM/FM/SIRIUS SATELLITE RADIO/BLUETOOTH COMPATIBLE, POWER SLIDING REAR WINDOW, PLUS MUCH MORE.................PRICE INCLUDES $1500 FINANCE REBATE - MUST FINANCE WITH WASECA CHRYSLER TO QUALIFY!!! 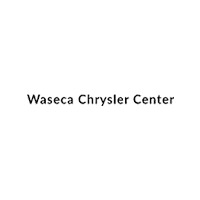 MSRP $49,210, 5.7L HEMI V8 ENGINE, 4X4, BIG HORN EQUIPMENT PACKAGE, SPORT APPEARANCE PACKAGE, REMOTE START, TRAILER BRAKE CONTROL, ANTI-SPIN DIFFERENTIAL, LEVEL 1 EQUIPMENT PACKAGE, FULL POWER, PLUS MUCH MORE....................PRICE INCLUDES $1500 FINANCE REBATE - MUST FINANCE WITH WASECA CHRYSLER TO QUALIFY!!! MSRP $54,190, 5.7L HEMI V8 ENGINE, LEVEL 2 EQUIPMENT GROUP, HEATED CLOTHE BUCKET SEATS/STEERING WHEEL, REMOTE START, TRI-FOLD TONNEAU COVER, ANTI-SPIN DIFFERENTIAL, 20 CHROME CLAD WHEELS, TRAILER BRAKE CONTROL, BLIND SPOT AND CROSS PATH DETECTION SYSTEM, WHEEL TO WHEEL SIDE STEPS, AM/FM/SIRIUS SATELLITE RADIO/BLUETOOTH COMPATIBLE, POWER WINDOWS/LOCKS, DUAL ZONE TEMP CONTROL, PLUS MUCH MORE................PRICE INCLUDES $1500 FINANCE REBATE - MUST FINANCE WITH WASECA CHRYSLER TO QUALFY!!! Price includes $500 Minneapolis Auto Show Rebate - MSRP $56,145, 6.7L Cummins Diesel Engine, Auto, 4x4, Chrome Appearance Group, 5th Wheel Prep Group, Snow Plow Prep Group, Chrome Running Boards, Spray in Bed Liner, Shift on Fly 4x4,Am/Fm/Sirius Satellite/Bluetooth Compatible, Power Trailer Tow Mirrors, Clearance Lamps, Trailer Brake Control, Rear Park Assist, Power Windows/Locks, Speed Control, AC, plus much more...............Price includes $1500 Finance Rebate - Must finance with Waseca Chrysler to Qualify!!! Price includes $500 Minneapolis Auto Show Rebate - MSRP $63,540, 6.7L Cummins Diesel, Automatic, 4x4, Heated Seats/Steering Wheel, Remote Start, Off Road Package, 5th Wheel Towing Prep Group, Chrome Tubular Steps, Uconnect 8.4 Screen, Am/Fm/Sirrus Satellite Radio/Bluetooth Compatible, Snow Plow Prep Group, Spray In Bedliner, plus much more............Price includes $1500 Finance Rebate - Must finance with Waseca Chrysler to Qualify!!! MSRP $62,170, 6.7L Cummins Diesel, Automatic, 4x4, Long Box/8 Foot Box, Heated Seats/Steering Wheel, Remote Start, Level I Equipment Group, 5th Wheel/Gooseneck Towing Prep Kit, Backup Camera, Skid Plate/Tow Hooks, Power Windows/Locks, Speed Control, Am/Fm/Sirius Satellite Radio/Bluetooth Compatible, LED Bed Lights, Snow Chief Group, AC, plus much more.........................Price includes $2000 Finance Rebate - Must finance with Waseca Chrysler to Qualify!! !